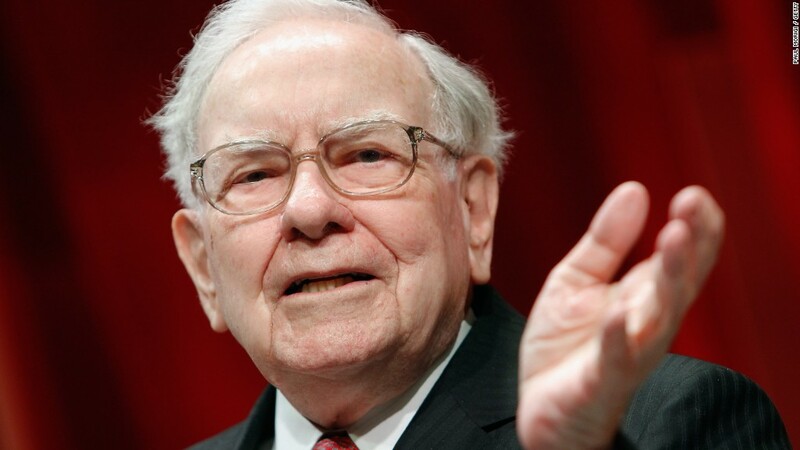 Is Warren Buffett calling a bottom in Apple's stock price? Berkshire Hathaway (BRKA), the conglomerate run by Buffett, disclosed in a regulatory filing Monday that it purchased more than 9.8 million shares in Apple (AAPL) during the first quarter. It marks Berkshire's first investment in Apple. Berkshire acquired its position at an average price of about $109 a share. But the value of that investment, originally worth around $1.1 billion, has already dropped significantly. Investors have been worried about slowing demand for iPhones after Apple reported disappointing earnings last month. Apple's stock price has since fallen to just above $90, meaning that Berkshire's stake in Apple is now worth about $888 million. Shares of Apple are down 14% so far in 2016, making it -- along with Intel (INTC) and Goldman Sachs (GS) -- one of the worst stocks in the Dow this year. Apple competitor Alphabet (GOOGL)-- the parent company of Google and owner of the Android mobile operating system -- recently overtook Apple as the world's most valuable company as well. Still, shares of Apple, which hit a new 52-week low on Thursday, rose 4% Monday on the news of Berkshire's stake. That move vaulted Apple back ahead of Alphabet in the market cap race. The Apple purchase is the second big tech investment by Berkshire, which has been steadily adding to its stake in IBM (IBM) during the past few years. Berkshire is also backing a takeover bid for the core assets of struggling Internet company Yahoo (YHOO). Until recently, Buffett had been famous for his lack of investments in the tech sector. But Apple fits perfectly in Buffett's wheelhouse. The company is a leader in its market and the stock is extremely cheap, trading for just 11 times this year's earnings estimates. Apple also has a pristine balance sheet, with $232.9 billion in cash. Berkshire also has a small stake in telecom giant Verizon (VZ). But Buffett's firm disclosed on Monday that it no longer has a position in Verizon rival AT&T. Berkshire sold its 46.6 million shares of Ma Bell during the first quarter. Berkshire had owned a large position in DirecTV, which AT&T (T) acquired last year. It's worth noting, though, that Buffett's position in Apple is still relatively small compared to Berkshire's top holdings -- Kraft Heinz (KHC), Wells Fargo (WFC), Coca-Cola (KO), IBM, American Express (AXP) and Phillips 66 (PSX). And another billionaire investor, Carl Icahn, recently disclosed that his firm has sold its entire stake in Apple due to concerns about competition in China. Apple CEO Tim Cook is currently visiting China on a goodwill tour of sorts. Apple also just disclosed a $1 billion stake in Didi, a Chinese ridesharing rival to Uber.